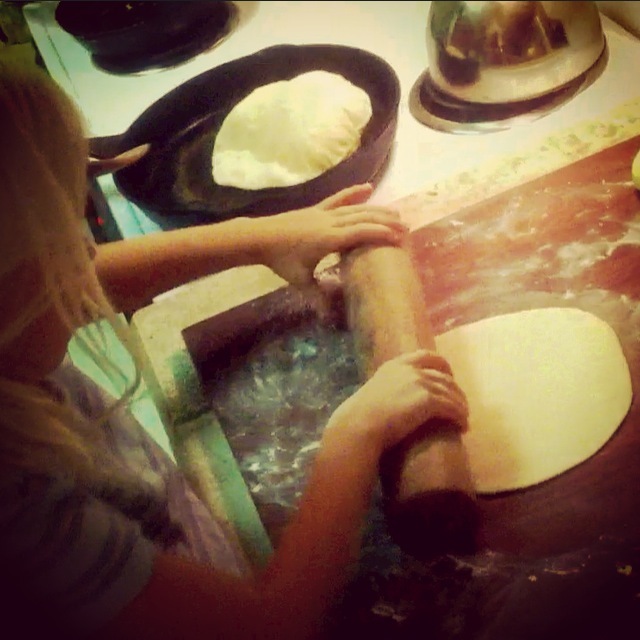 She may only be 5-years old, but young Miss Ella Mae can roll out a mean pita. With her on the pin and papa on the skillet, this dynamic duo can crank out dozens of fluffy, hummus-handles. And, of course, they have a little help from the featured craft item: the turned Mesquite rolling pin by Practical Art artisan Paul Porter. Compelled to try yourself? 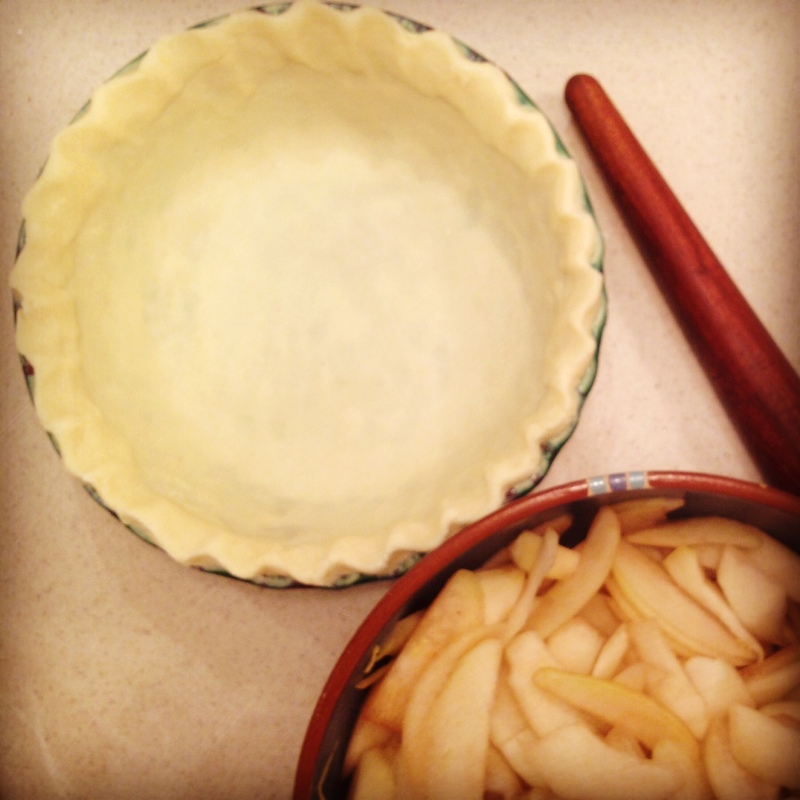 (‘Cause if a 5-year old can do it…) You’ll just need 1) the rolling pin and 2) the recipe! Do you have Practical Art in your home?! Let us feature it in a “Natural Habitats” blog! Artful wares look beautiful in the shop, but we think they look so much better in use, being loved! Just hashtag your Instagram photos with #practicalart or tag us as @practicalartphx! 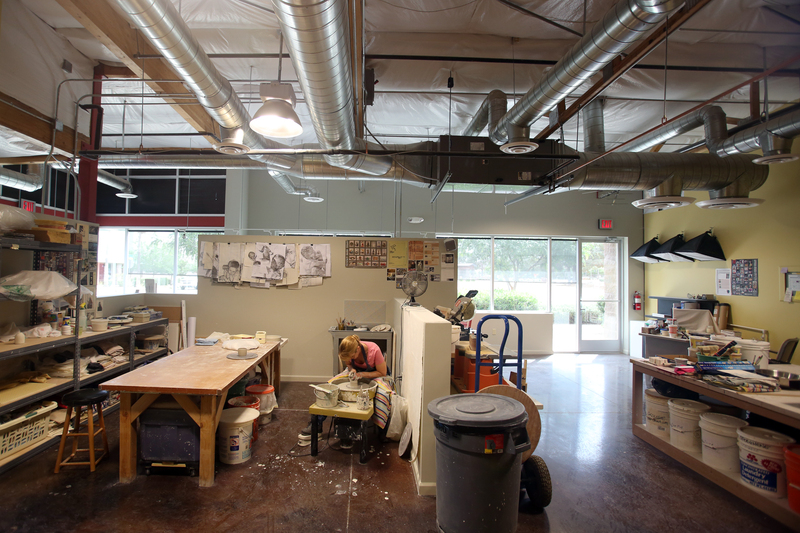 If you’re a little more low tech, email your snapshots to info@practical-art.com! Hello, art & pie lovers! 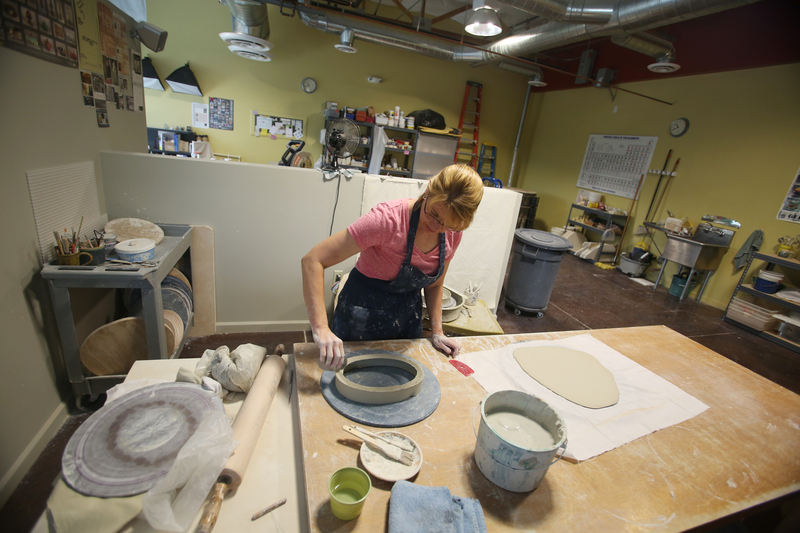 Tonight’s our monthly Charity Pie Night at Practical Art, and you know what that means! Yes! Not only do you get to donate to a worthy cause– this month? 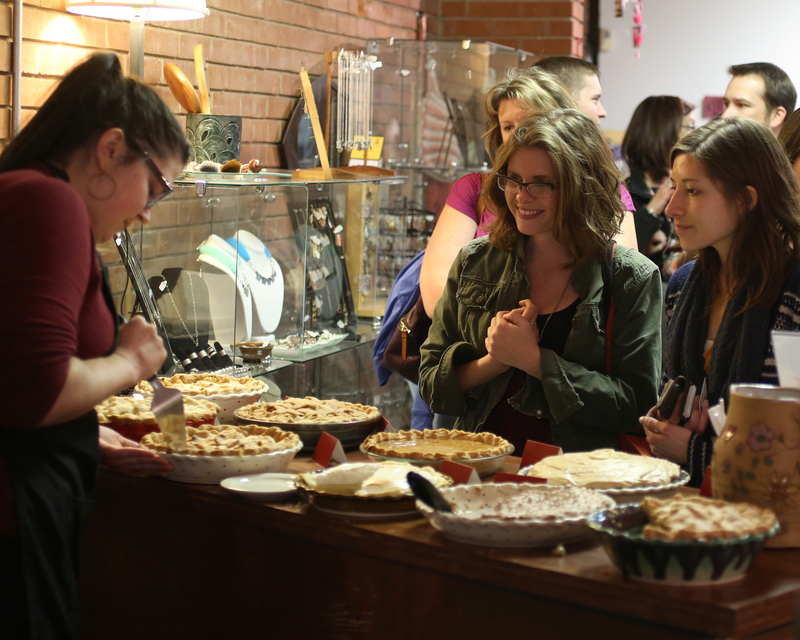 The Madison Education Foundation— but you get to indulge in a piece (or five) of pie lovingly crafted by our favorite sister/helper/baker, Karen Olson, of Vonceil’s Pies! Since the event doesn’t begin until 7pm, we figured we’d give you a little lead-in about all of the TLC that goes into these golden beauties with this month’s edition of Pie Tips from Karen! The tip? “Do you get it right every single time? You do? Okay, then read no further– this tip is not for you. But, if you’re like the rest of us (most of us! ), you’re in the middle of a process and a practice with ‘perfection’ kind of just this idea way off in the distance. We’re learning as we go, getting better with each new experiment in whatever our chosen craft. I’m the pie lady. And, I’ll say, I’ve learned THEE MOST from pies that were, well, not quite successful. Sometimes it’s the oven that tells you: when your baked-good didn’t crisp, set, rise, etc, etc, etc…. any number of those meanie things an oven can pull; sometimes it’s your friends n’ family that offer some helpful critique on flavor; and sometimes, if you’re working in the professional sphere, it’s your audience of strangers that leave a particular pie unsold on the shelf, or who will jot a scribble on a comment card that says, “Needs more ______” or “…less ______”. And, lastly, here’s a teaser for you! 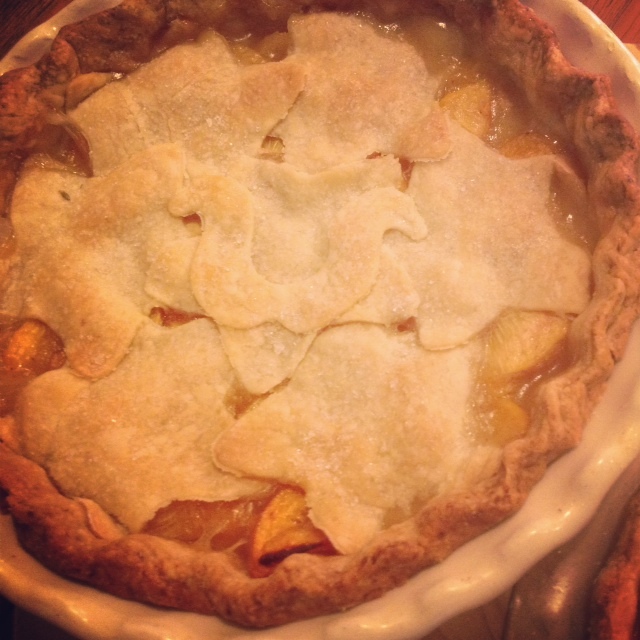 Next month’s pie insights are about the history of Apple Pie! Don’t miss it! And, of course, we hope to see you tonight at Pie Charity Night! 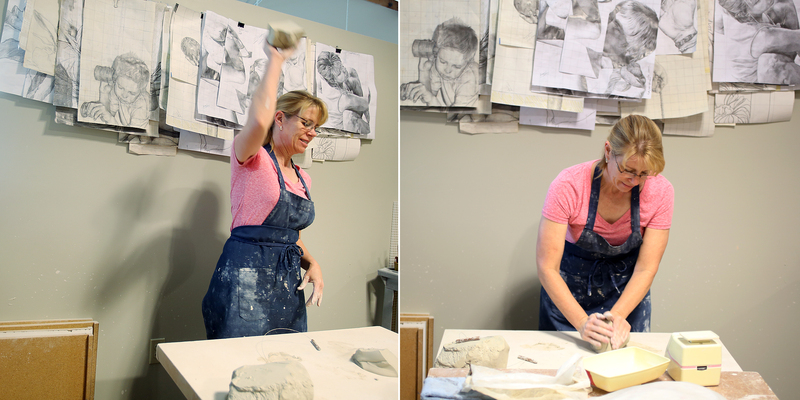 “Under the instruction of the most accomplished professors, I developed skills as a craftsman, found a love for clay, and a near obsession with the drawn line.” Practical Art artisan Beth Shook says it best when talking about the elements necessary for complete and quality craftwork: head, hands, heart, and– based on the first image below– chutzpah! 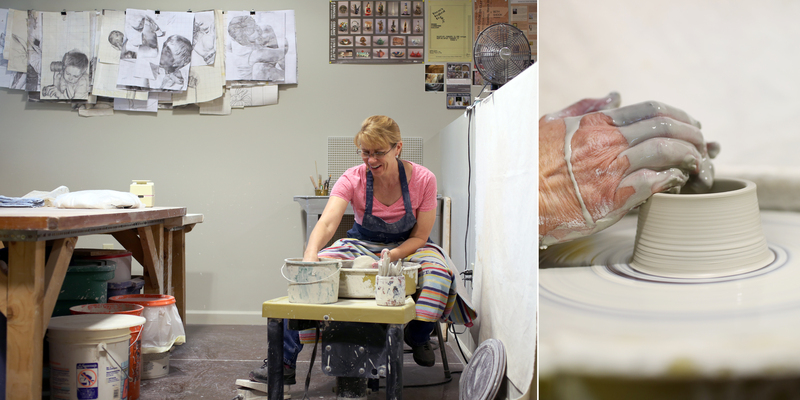 But who needs to say anything when you have studio photographs like these to illustrate Beth’s attention to detail at every step of her process. And truly, doesn’t a glimpse into an artist’s studio say 1,000 words about them, their practice, and their art? 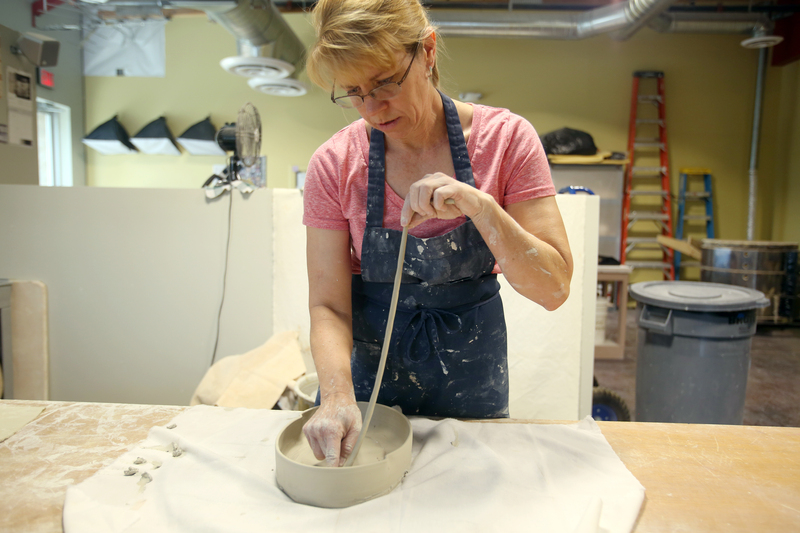 Drawings made in clay are the basis for the fine art side of her practice, but even her functional work, like this signature casserole dish, bears the evidence of Shook’s love for line. 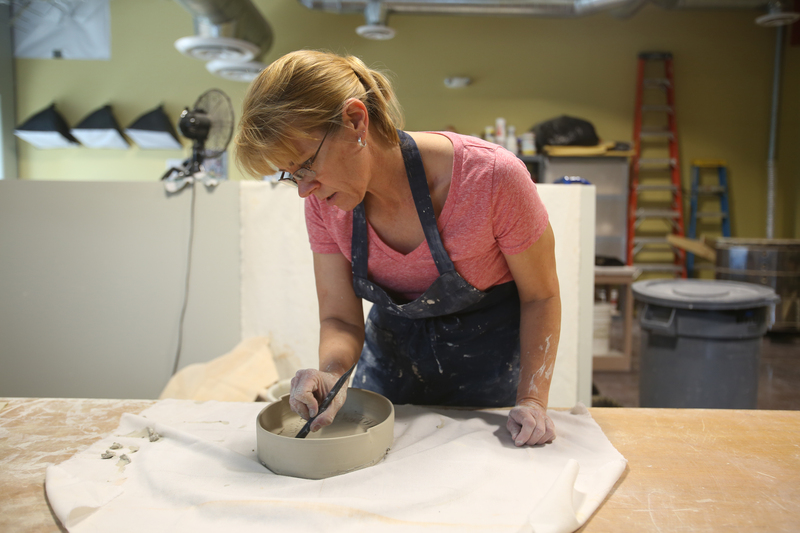 In her plates, bowls, bakingware, mugs, and more, nothing is overlooked: the solid construction, the tried-and-true colorful glazes, detailed surface treatments, and all the little touches that make these pieces unique to Beth. My reason for living? Pie Night. This is probably the most frequent question I am asked about pie-making. To be fair, I can’t know this for sure as I have not been keeping a running count of questions I have been asked, but if I had, I am going to say this is the winner. It isn’t an easy question to answer. In truth, my favorite part is the crust, plain and simple. But from the pie eater perspective, this answer doesn’t quite satisfy. Fact is, I have a giant sweet tooth (probably all my teeth). I could eat any type of pie and be pretty happy with the sugar rush to follow. If I HAD to choose one pie to make and eat for the rest of my life, I will cop out and say fresh seasonal fruit pie. If forced, I could narrow down to one fruit, but since this is my blog post, I am not going to today. My answer might change tomorrow anyway! The point here: Fresh is Best. If it’s blueberry time, blueberry is my favorite pie to make. If it’s the season for Strawberries, guess what? Strawberry pie is my jam. 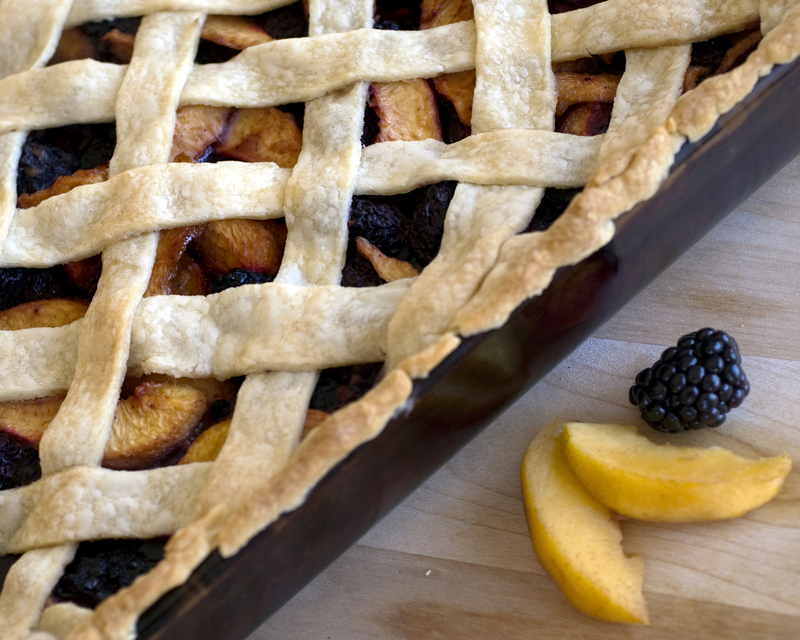 When fruit is in season, it hardly needs anything but a shell to be put in, and an oven to bake in, to taste delicious. Plus, getting into the seasons allows for you to get involved with your local community. Farmer’s markets are a great way to shop local agriculture. Also, checking out farms – like Schnepf Farms –leads to a day of fun, along with amazing spoils – fresh peaches – that can last much longer! In fact, the peach season is almost upon us, so be sure to check out the festivities online – http://www.schnepffarms.com/event/peach-festival/ – and get to picking fruit for your pies yourself! Need to see it… errrr, taste it…. to believe it? A Share of the Pie: Charity Pie Night! A $5 donation gets you any slice of a Vonceil’s Pies creation! A $10 donation or $25 purchase at the shop gets you as many in-house tastings as you’d like! The delectables (made by our favorite sister/helper Karen Olson of Vonceil’s Pies have previously included Hipster Apple, Banana Peanut Butter Cream, and Strawberry Jalapeno. 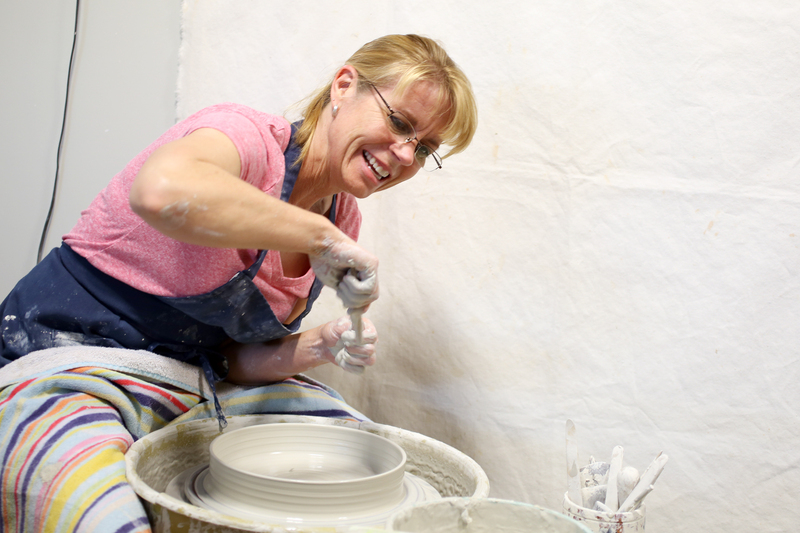 Bring your own plate or pick up a handmade one on the spot to keep things eco-conscious! All donations, and 10% of all sales during the event, will be donated to this month’s charity: Free Arts of Arizona! It isn’t always easy to remember where things began, particularly as more beginnings happen every day. 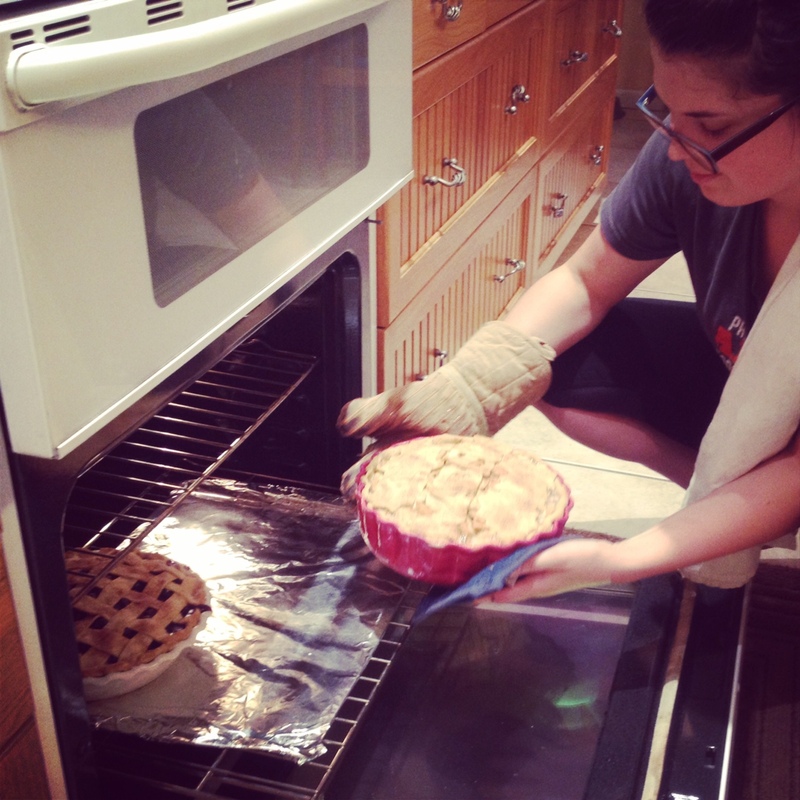 When it comes to this one trick of pie baking however, I know almost exactly where it began. A little more than a decade ago, Linda Olson (a.k.a. Mom) was gearing up once again for hosting the family Thanksgiving dinner–no small feat, mind you–and what is a mother of three lazy daughters to do with so many tasks at hand? DELEGATE! Who really knows or remembers what was doled out to Lisa and Kim that fateful year, but I happened to tell my mother I would like to take over making the pumpkin pie. And fate sealed itself. Anyway, I am pretty sure I am supposed to be writing a pie tip in here somewhere and not my small piece of history… so thank you for your patience with my lead-in, and now on to the pointer! It was that day, my mother taught me what her grandmother had taught her: the key to a beautiful and flaky crust is to keep your butter cold! Keeping your butter cold allows for those lovely, little butter pockets in the dough to come together in the mixing process, and once placed in a warm oven, they will expand and create a melt in your mouth crust which would complement any filling your heart desires. I am pretty sure, after 10 plus years of baking, that there is some level of science to this tip, but for me, the proof is in the pie crust. Now go forth, experiment, and keep it cool Phoenix! If you’d like to see/smell/taste the evidence, this Friday, February 28th, is Charity Pie Night! The feature charity this month is Arizona Basset Hound Rescue! Click through the Charity Pie Night link for the Facebook event, or visit our website for more details: www.practical-art.com.